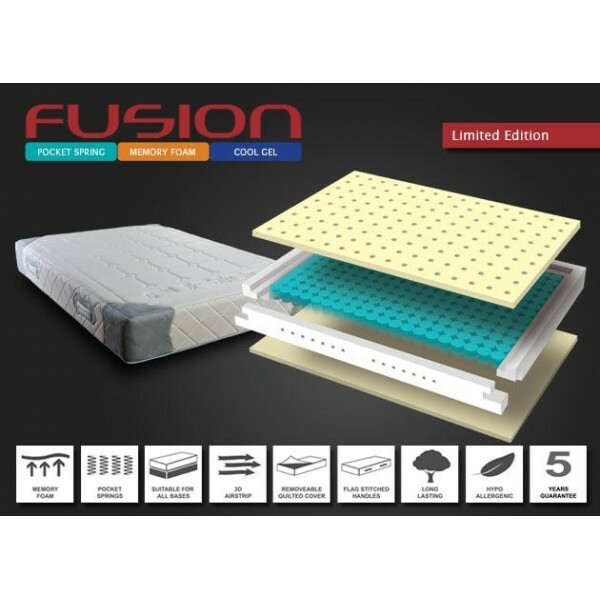 Fusion Pocket Memory 5' x 6'6"
an exceptional jointed and rebated border foam which ensures maximum edge-to-edge support effectively increasing the sleeping surface by as much as 25%. the inclusion of pocket springs is testament to the traditional body contouring comfort that they achieve whilst also helping to ensure an undisturbed nights sleep. 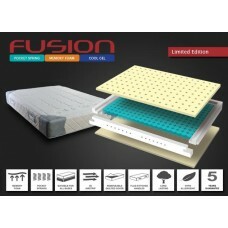 with on eye to the fashion conscious the Fusion concept includes the mixing of different textures to achieve both a visual and tactile product to be aspired to whilst not forgetting the durable practicality of having additional hard wearing materials in those areas which can suffer the most wear.